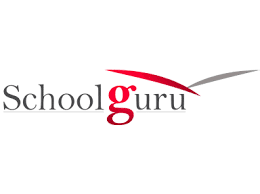 Headquartered at Mumbai, an education tech start-up, Schoolguru Eduserve has plans of raising Rs 30 crore from both domestic and foreign investors. This education start-up wants to use the funding for technological advancement, creation of content and increasing associations with other universities. Presently, this company has tie-ups with 14 Indian universities including Tamil Nadu Open University, Netaji Subhash Open University and Acharya Nagarjuna Open University. However, Schoolguru is further looking at tying up with 16 other Indian institutions within the next 18 months. This start-up was launched in 2012 by three entrepreneurs- Shantanu Rooj, Ravi Rangan and Anil Bhat with an investment of Rs 2 crore. The company provides distance education with a revenue-sharing business model under which it partners with universities and leverages their resources. It also helps universities launch online courses.